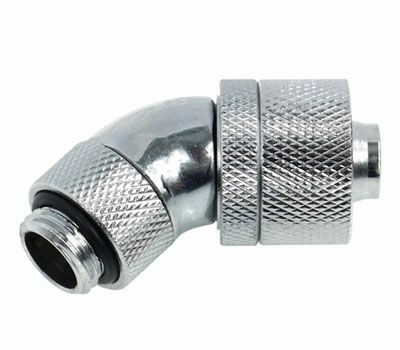 Alphacools's fittings go new ways in looks, quality of manufacturing, colours and choice. 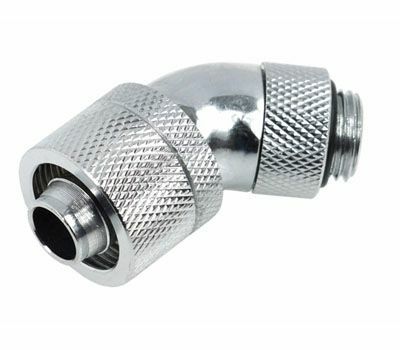 The inner diameter of these fittings truly deserves the 'high flow' attribute! 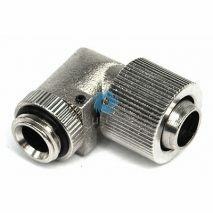 This fitting can be used to connect 16/10mm tubing with a G1/4" connection thread. 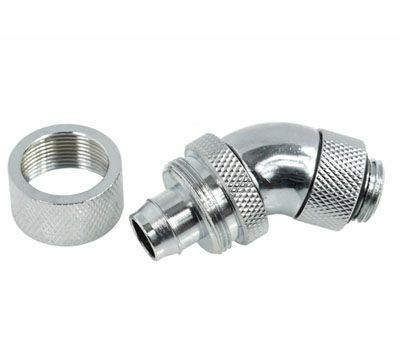 The fitting is angled by 45? 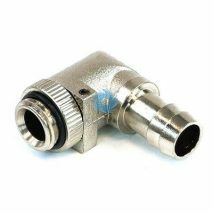 and is revolvable, allowing easy hose routing in the system.